Count your blessings that they get along! Benji and Alec do for the most part, but Ava and Benji are fighting like oil and water these days. Arrrgh! You are so blessed! 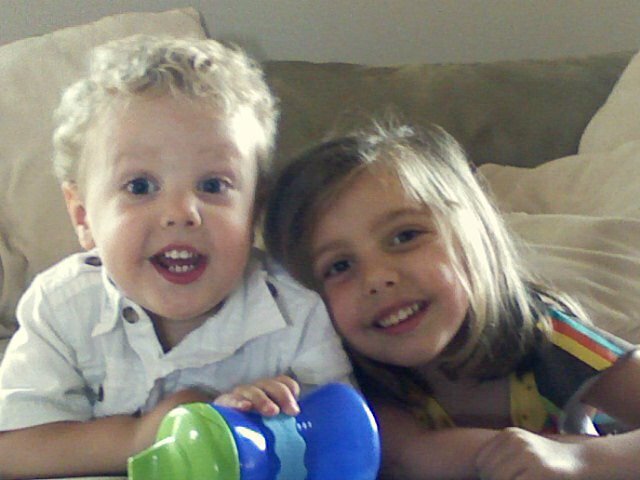 They are so sweet and cute as a button. I love having a boy and a girl too. What a sweet photo! They are adorable! LOVE the curls! What a great picture!